John Small has significant experience in representing all types of parties in business bankruptcy cases and representing creditors in consumer bankruptcy cases, including Chapter 11 debtors-in-possession, creditors committees, secured creditors, unsecured creditors, equity interests (stockholders, partners or members), Chapter 11 trustees, Chapter 7 trustees and defendants in adversary proceedings, particularly preferential transfers and fraudulent transfers. His practice involves litigating and negotiating matters related to Chapter 11 business cases, including cash collateral issues, relief from stay issues, and negotiating, and drafting plans of reorganization/disclosure statements. He has previously represented creditors and debtors in cases initiated by involuntary bankruptcy petitions. A significant part of his practice also includes negotiating, on behalf of borrowers and lenders, out of court workouts, and restructuring of various financial obligations. He has also represented buyers of assets of operating divisions or entire businesses from Chapter 11 debtors-in-possession. The other significant practice area for John is general corporate representation of small businesses, including representing buyers and sellers in mergers and stock and asset acquisition transactions. This portion of his practice routinely involves rendering advice on various corporate and corporate governance matters and financing transactions. 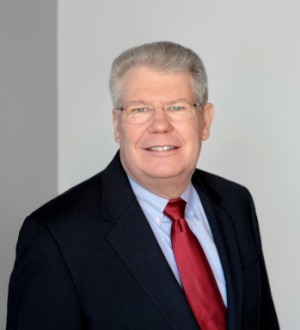 He is listed in The Best Lawyers in America, Bankruptcy and Creditor-Debtor Rights Law, and is a Board Certified Specialist in Business and Consumer Bankruptcy Law, North Carolina State Board of Legal Specialization. He also has been recognized as a member of North Carolina's "Legal Elite" in Bankruptcy Law by Business North Carolina and was recognized by North Carolina Super Lawyers in Bankruptcy & Creditor/Debtor Rights.